Since 1986, Mike Milton’s Sudbury Appliance has remained the foremost appliance repair company in Sudbury, MA. 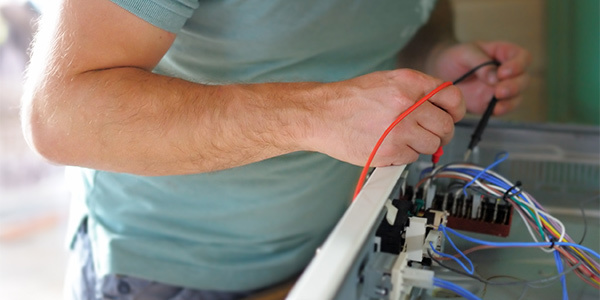 Our family owned and operated business strives to provide friendly, reliable and prompt appliance repair services to the residents of Marlborough, MA and the surrounding areas. We depend on various household appliances in Sudbury, MA throughout the day to help enjoy a high standard of living. Washers and dryers help us keep our clothing clean and fresh; stoves, ovens and ranges give us the ability to cook delicious meals; and our fridges and freezers make saving those leftovers possible. When any one of these appliances takes a dive or stops delivering the function we expect of it, it can disrupt our lives and potentially cost us a large sum of money to replace. To avoid these eventualities and to get your appliances back to their fully functional states, contact Mike Milton’s Sudbury Appliance first. We are NARDA Refrigerant Recovery Certified and licensed in refrigeration. We are an authorized Whirlpool Servicer and are familiar with the full range of Whirlpool appliance models. We’re a proud member of the National Federation of Independent Business (NFIB). We offer convenient same-day service of appliance repair emergencies! All of our repairs and services are covered by a 90-day warranty against defects and damages. Nobody knows appliance repair quite like the experts at Mike Milton's Sudbury Appliance! Get in touch with us today for a free estimate on repairs for your appliance.